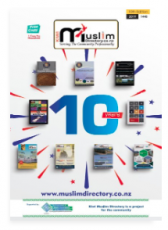 To provide both Islamic literature and clothing items to the general public. We operate the Jannah Road op shop which is a donation based shop providing great bargains to all.From the proceeds of these sales we also help those in need. Alhumdolilah our Temporary Accommodation Project (TAP) started in January 2018 and is going well. We need your help to reach our goal and help our Muslim sisters and children in need. Please check our website https://www.jannahroad.co.nz/temporary-accommodation-support/ for the latest details. Jannah Road gives donations such as clothing and essential items to families in need in our locality. In the future, God willing we would like to open a long term project aimed at our children to help them before and during school with a focus on Islamic values. *To establish social enterprise charity shops to raise funds to support the Jannah Road’s charitable aims and objectives.